At Horizon Downing, a blend of experience, insight and creativity combine perfectly to IMPACT your audience. Our mission is to achieve your goals in the most captivating and engaging manner possible.Let’s explore what we can do for YOU. We strive to create successful partnerships. Our mission is to achieve YOUR goals. We believe in executing a project flawlessly…so we all win. Our multi-layered project management & processes deliver a successful trade show experience every time. Our vast experience, commitment to quality and highly skilled staff provide the expertise to implement an effective and memorable program. bottom line. 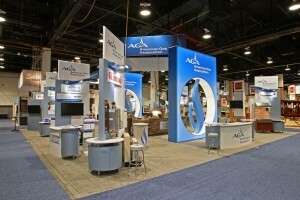 In fact, we allow our clients to see the actual costs involved with a trade show. What other company is that transparent with their clients? And because we are owner-operated since the inception of the company in 1978, we display the highest integrity in everything we do. We hope you’ll give us the opportunity to judge for yourself.